With winter fast-approaching, it may be time to replace your old siding. A home’s siding is its first defense against the elements. If your siding is worn or has aged out, it may not be able to withstand the winter weather this year. 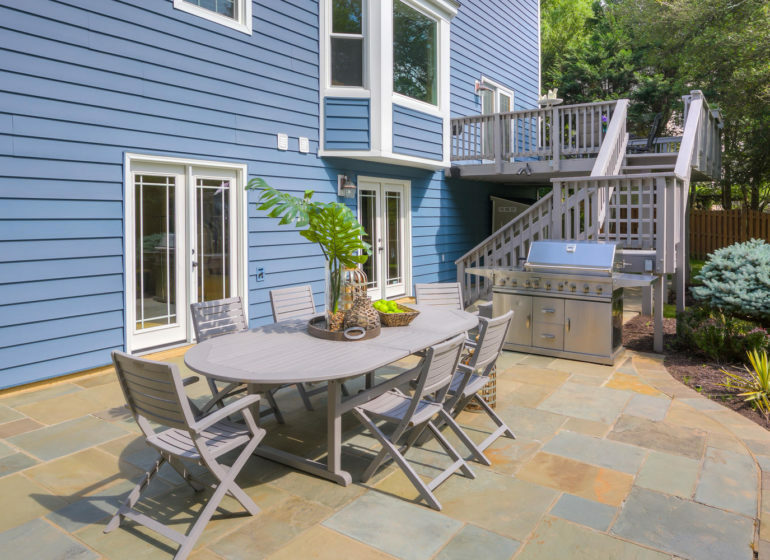 At HB Home Services we offer our clients the very best home siding replacement services in Northern VA. Our quality materials and expert staff are sure to help you recreate your home into one that’s efficient, fully-functional, and visually pleasing. Below are just a few advantages you will receive when replacing your home’s siding. New siding can help your home become more energy-efficient. When you add insulation to the exterior walls in your home, you can further reduce the energy costs on your property. Some homes may not have been built with added insulation, which makes the home much more difficult to keep heated. Adding insulation in your home can help regulate the temperature better as it keeps your heating and cooling system from overworking. When you replace your siding with highly-trained professionals, you will receive the quality craftsmanship and materials your home needs. Professional siding jobs utilize materials that provide the right amount of protection for your home. A home’s siding needs to be able to withstand all weather extremes, which can be attained by using the very best materials and hiring experienced home improvement specialists. As your home’s siding ages, it may begin to fade and appear dirty even if you clean it often. Siding comes in many different colors and textures, so when replacing your siding, you may want to select a different color palette or style to change up the look of your home. Replacing your siding can give your home the curb appeal it needs to increase your home value. Installing new siding to your home is a big investment, but if you are planning to sell your home in the near future, it can add much more value. The new siding can protect your home from damages and will allow you to sell your home for a higher price. If you are thinking of replacing your siding, then it will surely pay off when you’re ready to sell. Let HB Home Services Provide You the Best Home Siding Replacement in Oakton, VA! At HB Home Services, we understand that replacing your home’s siding is a big commitment that requires quality home siding replacement services in Virginia. Since the Northern VA weather is so unpredictable, our experienced team is here to help you make the experience as smooth as possible. Our home improvement services are reliable and efficient, which will ensure that you achieve a home that’s durable and looks brand new. If you need your home’s siding replaced, contact us at 703-764-0498 to start your home improvement project today!